Living in a fast-paced world means that sometimes we are caught off-guard by everyday hassles that can sneak up without warning. 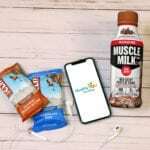 A forgotten lunch left at home; lost headphones you needed for an intense workout at the gym; a broken phone charger just as your phone dies; or even just running out of a special protein or health drink you can’t live without. Healthy YOU Vending knows these struggles can make for a frustrating day. Life’s little challenges can’t always be solved with the wave of a magic wand, but the Healthy YOU Vending machine is the next best thing. Its advanced technology and completely customizable operating system make this machine like none other—for both a vending business operator and their customers. 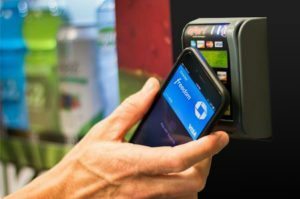 No two environments are the same, so the contents of each machine can be uniquely tailored to meet the needs, requests or circumstances of a business, location or vending customer. 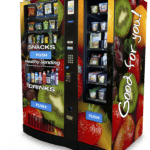 The choices offered in each machine are completely at the discretion of each Healthy YOU Vending operator. Our operators have found success stocking their machines with diabetic, gluten-friendly and kosher food items, as requested by their business locations or vending customers. Others have found success by adding the SmartMart side unit to stock unique items for a particular location, such as headphones, weight-lifting gloves, towels and even chalk for a local gym. 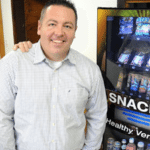 These are just a few of the options vendors have seen flourish in their Healthy YOU Vending machines. 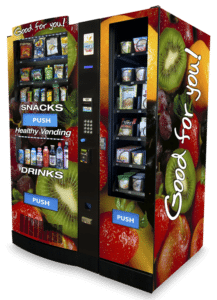 The Healthy YOU Vending machine is no ordinary machine. Not only is it made in the USA, but its beautiful and distinctive appearance makes it appropriate for many settings such as: professional work places, schools, universities and hospitals. Its highly secure, tamper resistant industrial locking system with an anti-theft design makes it a worry-free piece of equipment. It also has a lower energy cooling system that makes it more eco-friendly. Each machine comes equipped with cutting-edge technology and software that allows an operator to better manage their business and vending machines. These include: MediaLink Digital Display Package, DEX & Remote Machine Monitoring, eManage Vending Management Software, Smartphone Payment Technology and SmartWarePro/Smartcard Technology. 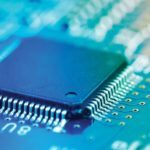 These features and benefits save time and money, create a better understanding of what products are in high demand and when they need to be restocked. Knowing this helps to avoid unnecessary product placement and less time spent stocking machines. 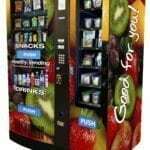 Operating a business has never before been so easy and fulfilling as it is with Healthy YOU Vending. The flexibility of operating our machines, along with unparalleled customer support, make this an amazing opportunity that is hard to find with any other type of business opportunity. Accommodating the needs of a workplace or community provides many possibilities to become involved with customers and foster successful business relationships that promote both personal and professional growth.